Winner of the 2017 Pulitzer Prize and the 2016 National Book Award. The chronicle of a young slave's travails as she makes a desperate bid for freedom in an imagined antebellum South where the Underground Railroad is no metaphor. Every now and then a book comes along that reaches the marrow of your bones, settles in, and stays forever. This is one. 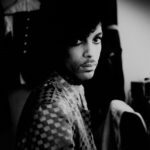 It's a tour de force, and I don't say that lightly. ...a potent, almost hallucinatory novel that leaves the reader with a devastating understanding of the terrible human costs of slavery. It possesses the chilling matter-of-fact power of the slave narratives collected by the Federal Writers’ Project in the 1930s, with echoes of Toni Morrison’s Beloved, Victor Hugo’s Les Misérables, Ralph Ellison’s Invisible Man, and brush strokes borrowed from Jorge Luis Borges, Franz Kafka and Jonathan Swift ... [Whitehead] has told a story essential to our understanding of the American past and the American present. 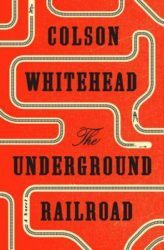 In The Underground Railroad, Whitehead has created a portrayal of pre-Civil War America that doesn't shy away from the inhumanity that wounded this country, nearly mortally, wounds that still haven't healed. Whitehead proves once again that he's a master of language — there are no wasted words in the book, and it's apparent that each sentence was crafted with exacting care ... The Underground Railroad is an American masterpiece, as much a searing document of a cruel history as a uniquely brilliant work of fiction. What did you think of The Underground Railroad?